' Happy Tuesday! Today I am popping on to talk about Intermittent Fasting. I have fasted in some sort or other for years, whether for medial or religious reasons, as well as the unhealthy fasting that comes with stress and personal pain. But as this way of eating has grown more popular, I wanted to learn more about it in order to implement into mine and my clients eating. The best part of IF, is that it is not a diet, instead it is a pattern of eating that I have found incredibly freeing and has allowed me to focus less on what I am eating, instead I focus on eating to fuel my body when it is truly hungry! The popular IF trends right now have people fasting 16-18 hours, which I have found to be a tad too long for me. Instead 14 hours has been my magic number. Basically I stop eating around 9pm and then eat again around 11-12pm depending on my day! This has allowed me to truly feel hungry, and I feel like my body is truly using the food I eat for fuel. When we eat, our bodies can’t use all the energy from food immediately. The leftover energy must be stored away for later use. Insulin is the key hormone involved in the storage of food energy. Insulin rises when we eat, helping to store the excess energy in two separate ways. Sugars are turned glycogen and stored in the liver. The liver only has so much glycogen storage, and the excess glucose gets stored as fat. When we fast however, the insulin levels fall, allowing our body to start using stored energy as fuel. This causes the body to use the excess glucose that was stored as fat.Insulin levels fall, signaling the body to start burning stored energy. Our bodies use Glycogen because is the most accessible energy source. Glycogen is broken down into glucose, which can power the bodies cells for up to 36 hours. Once that has been used, fat is broken down and burned as energy. In the past two months I have found more energy, been able to sleep better, and lose a few pounds! More than the weight loss which was secondary, I’ve gained more muscle tone without changing my workouts and have had less “unhealthy eating” self talk! I was worried at first that it could trigger my history of disordered thoughts and habits, but instead it has helped free me of those beliefs. I have more food freedom now that I am able to truly see food as energy, and am no longer just eating to eat. If you are interested in learning more about IF, I’d love to help you navigate it! Shoot me an email or DM! Secret to Success: Don’t Quit!
' Today’s post is inspired by a quote I saw on Facebook, but also by a pattern I have been noticing in my work both as a counselor and personal trainer. Often, when pursuing a goal exercise or athlete related, we think about either making our goal or failing to make it. However it is not that black and white, which is why this quote struck out to me so much this morning. Each goal is a journey, and like any journey, we are going to take breaks or make a pit stop that sets us back, however the only time the journey ends is when we decide to quit. Exercise should not be a temporary activity just until you lose “the last 5 pounds” and then you go back to a sedentary lifestyle. In that scenario, exercise is the break or the pit stop- not the journey. Exercise can be a powerful thing- it allows us a 30-60 minute break in our day when we can breathe, focus on our body, and thank our body for all it does through something that is good for it. It should be a lifelong habit, a way of life. Obviously not all forms of exercise are sustainable forever because of wear and tear, but there are options for everyone 98% of the time. That being said, none of us are perfect and so we will take our days off, which sometimes turn into months or years. We will have our cheat food days when we eat pizza and ice cream and drink too many beers. These days- the days we let go and allow ourselves the freedom to not exercise, or not adhere to strict food guidelines- these are NOT failures! They are simply the detours on our journey, and are often necessary for adherence to any program. Many of my clients, express guilt or a feeling of a failure after these days. They shame and guilt themselves, believing that they have failed. But then with some renewed motivation, they begin again. The pattern here is this nasty feeling of shame and guilt. Instead of being an actual motivating factor it just cuts even deeper into ourself esteem. Instead, remind yourself of the journey you are on- for lifelong health, a peace of mind and to be happy with who you are! 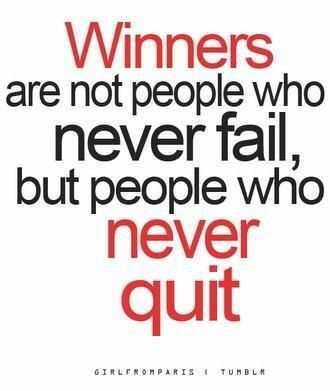 That means embracing those times of “failure” and work them into your program. If you know you are going on vacation or celebrating, or just have a day where working out isn’t possible- work that into your week. Bring healthy food/snacks or allow yourself the space to indulge a little bit without judgement. Take a walk on the beach or wherever you may be on a trip and enjoy your surroundings! Savor the food you are eating, and enjoy the company you are with! At the end of the day- it is these experiences we remember and cherish! The only failure is in giving up on yourself and quitting! So enjoy life, enjoy healthy food and exercise and enjoy the little detours!
' The Olympics are my favorite sporting event, and since 2000, I have celebrated the tradition of watching the Opening Ceremonies with the food from the host country. What started as takeout from Outback Steakhouse for Sydney in 2000, has morphed into Opening Ceremonies viewing parties for London, Sochi, Rio, and now PyeongChang! I had never made Korean food before Friday night, but I love most Asian cuisine and make a lot of Chinese and Thai inspired dishes , so I was excited to bring a new flavor into my repertoire! I will definitely be making these dishes again.... with the only change being actually hunting down wonton wrappers for my egg rolls. When I couldn’t find them at Kroger, I instead grabbed rice paper. While rice paper is great for yummy spring rolls and wraps.... frying with it is not advised unless you have a lot of patience and time. Anyone following my instagram storied Friday night can attest to my frustration with the egg rolls, but they tasted delicious even if they didn’t look... pretty! Here are the recipes I used to create my feast: https://dinnerthendessert.com/korean-ground-beef-egg-rolls/ https://www.koreanbapsang.com/2010/05/bulgogi-korean-bbq-beef.html https://www.pickledplum.com/korean-sticky-chicken-recipe/ https://www.thespruce.com/korean-pancake-with-scallions-2118966 My friend Sam made these delicious Sesame noodles as a vegan treat and they were so good! https://www.simplylakita.com/spicy-kimchi-sesame-noodles/?utm_content=buffer8debb&amp;utm_medium=social&amp;utm_source=pinterest.com&amp;utm_campaign=buffer I also made Korean Short Ribs and Bao buns from Trader Joe’s! It was a delicious start to PyeongChang 2018, now go Team USA (and team GB)!!!!
' As a personal trainer and sport psychology consultant, I focus a lot on mental toughness. This is a subject you hear most about in the sports real, however I have found that it is neccessary for everyone in every walk of life. we are all going to be thrown obstacles and make mistakes, but true success and toughness is navigating through these to constant grow into your best self. Mental toughness is is a collection of attributes that allow a person to persevere through difficult circumstances and emerge without losing confidence. To build mental toughness, these are the attributes that need to become part of your daily routine. Motivation: Why are you in you doing whatever it is that you are doing, be it work, health, athletics etc? What drives you every day? Identifying these factors will help you when you feel like you are losing sight of where you are going and help keep you on the right path. Goal Setting: What do you want to accomplish? At the beginning of each month, write down your goals and intentions for that month. These may be short term goals or smaller goals that add up to a longer term goal. Track your progress weekly with a goal journal. Self-Talk: One of the most important skills is self-talk. We often undermine ourselves by giving strength to negative thoughts and beliefs about our selves without even realizing it. I have seen this especially in women, using self deprecating comments and thoughts as a defense mechanism for insecurities and self doubt. It can be so hard to stop these thoughts, as they are often deeply ingrained in who we think we are, however gaining control of our negative thoughts, and building more positivity and confidence in the way we think about ourselves is key. Relaxation: Take time to breathe, and calm your self . Start by taking 5 deep breaths in through your nose and our through your mouth. While doing this allow yourself to focus only on the sensation of breathing, how it feels to expand your lungs, and feeling the relief that comes with each exhale. This is a simple practice that you can do virtually anywhere when you are feeling that you are just go through the motions, feeling at a dead end, or losing sight of your goals Spending 5-10 minutes each day with quiet diaphragm breathing will allow you to calm anxiety and anger. All of these skills will help you to build mental toughness and persevere through whatever life throws your way!
' If you are interested in health or fitness at all, odds are you have heard of, or already do, meal planning. Meal Planning is a great way to stick to your goals and stay on track each week with healthy eating! Plus it is cheaper and saves both time and money! Going in with a plan is always a better and more efficient way to shop, so come up with the recipes you want to make and figure out what you need from the store! Pick out a time to shop and prep that is the same or close to the same each week. This will help you stick to a routine. Prepping can take a few hours, so its often done on the weekends when there is time to cook and shop! Knowing your weekly schedule can also help you plan, like if you know you have lunch or dinner plans during the week, shop and plan accordingly! I do my grocery shopping on Monday mornings each week and then usually cook that afternoon during my break. When I go to the grocery, I go with about 3-4 recipes worth of ingredients written down, and that allows for meals for both lunch and dinner mon-friday. I usually have a smoothie for breakfast so if I’m out of those ingredients I will stock up as well! This week my menu is as follows: Trader Joe’s Sundried Tomato Basil Chicken Sausages 1 Red Bell Pepper 2 zuchhini I cooked the sausages until almost cooked, then sliced them up and threw them back in the pan with the veggies. Once cooked through, put in Tupperware and let cool before topping and putting in the fridge. Ground Turkey and Zoodles 1 lb ground turkey 1 frozen package Trader Joe’s Zoodles 1 orange pepper chopped 1tbsp avocado oil Cook zoodles according to the package, while doing that brown ground turkey in avocado oil. Once both are cooked, add zoodles into ground turkey and add in chopped peppers, I also added in 1 tbsp of scallion dill cream cheese (could use Kite Hill dairy free cream cheese) for a flavor boost! Chicken Stirfry 1lb Trader Joe’s organic chicken tenders 1tbsp teriyaki Sliced shiitake mushrooms Chopped zucchini 1 yellow pepper chopped 2 c brown rice Chop up tenders and pan cook, once almost fully cooked, add veggies. Cook rice in a rice cooker or stovetop according to directions. Roasted Green Beans 1 bag frozen green beans 1tbsp olive oil Red chili pepper flakes Combine all ingredients and roast until green beans are cooked through- about 30 min. Once everything is cooked an cooled, separate accordingly and then you have a full week of meals to eat and enjoy! x3 5. Throw some treadmill intervals in Love a Barry’s Bootcamp or Orange Theory but can’t always make class? You can recreate those killer circuits by throwing treadmill (or rowing) intervals in between weight circuits! Not a runner? You can customize it so do hill intervals on a walking speed that is slightly faster than your normal pace! This is a great way to get high intensity cardio in, especially if you want to start running because you can include walking and running intervals to build endurance. Sample Circuit: Sprint Interval Circuit: 30 s sprint 1 min fast walk or jog recover 45 s sprint 1 min fast walk or job 1 min sprint 1 min fast walk or jog 45 s sprint 1 min fast walk or jog 30 s sprint 6. Use Compound Moves To maximize my circuits as well as workouts overall, I love combining moves (also called compound moves)in order to challenge myself more and burn more in each circuit. The more muscles you work, the more calories you burn which is always a plus! In addition to an increased in caloric burn, compound moves provide dynamic flexibility, improved coordination and efficiency, and elevates heart rate. Examples of Compound Moves: Deadlift to a High Pull Squat to a Bicep Curl Single Leg Deadlift with a Tricep Kickback Reverse Lunge with a Shoulder Press These tips will help you create an awesome circuit workout to build strength, increase heart rate, and burn both calories and your muscles! It is in these circuits that we create the lasting change in our bodies.